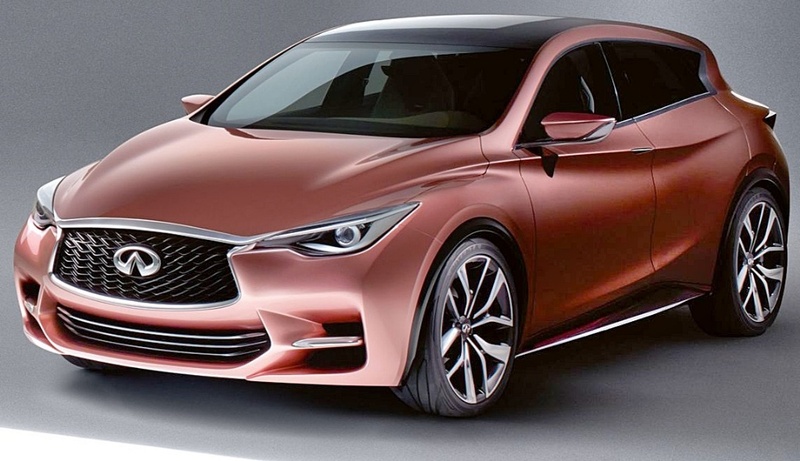 Nissan's upmarket brand, Infiniti, has taken a bold move signing with Mercedes-Benz to produce a range of new models based entirely on designs direct from Stuttgart! The first fruit of this deal is the Infiniti Q30, five door hatchback - and if you think it looks slightly familiar, wonder no more. It's a re-skinned Mercedes-Benz GL A! However, rather than lambast Nissan, I applaud the commonsense. The move gives Infiniti a lower-priced entry for its small range of models on sale in Australia, without the overwhelming costs of developing a whole new car line from scratch. Later there'll be a 4WD model, called QX 30. In Australia Infiniti will offer 1.6L and 2.0L petrol engines; and a 2.1L diesel - all with 7-speed Dual Clutch gearbox. The Q30 is FWD, and the QX 30 will be AWD. Step inside and you'll see a cohesive blend of bits from the Benz parts bin, and some unique touches by Nissan. The optional Bose sound system, for one. That's a must. 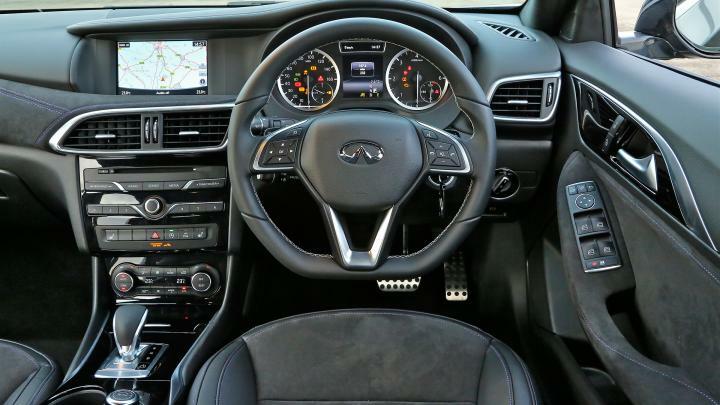 This Infiniti looks stylish, makes good sense and is well priced from AUD$38,900 to AUD$54,000 - and I think Infiniti dealers will do well with this car.